Here’s a sample answer I wrote recently with one of my students for Cambridge IELTS 2 Test 3 writing task 1. 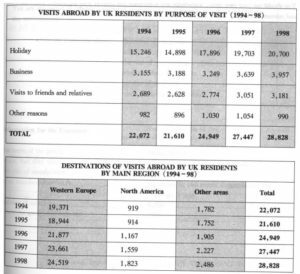 The first chart below shows the results of a survey which sampled a cross-section of 100,000 people asking if they travelled and why they travelled for the period 1994 – 98. 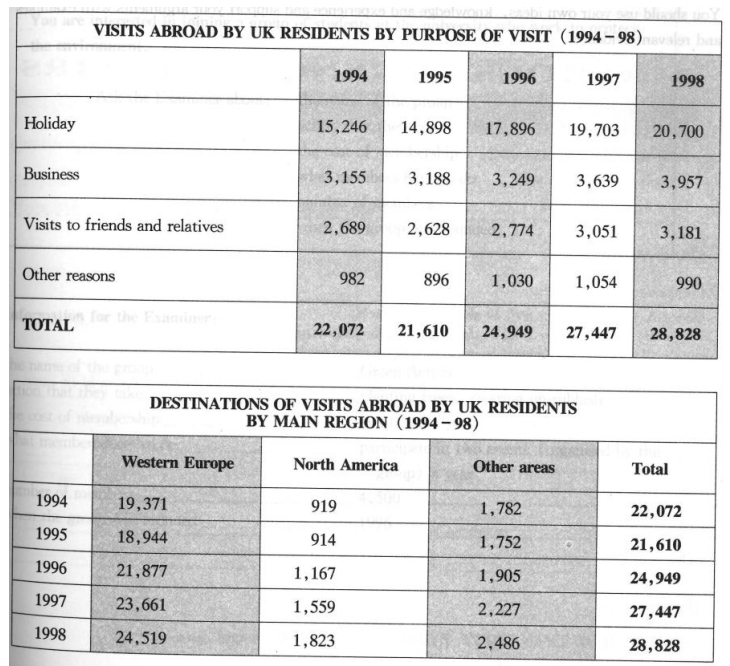 The second chart shows their destinations over the same period. 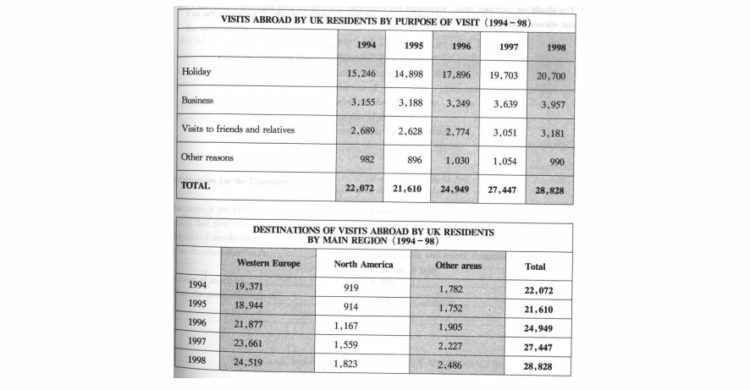 The two tables present information on the volume of UK residents who travelled overseas between 1994 and 1998 according to reason for travel and destination region. This content is for members with access to Task 1 (academic) answers. Please log in (login below for mobile users) to view it or to upgrade your account. Otherwise, click here to join.